Successfully saved Caprese Instant Pot Chicken Thighs to your Calendar. You can also save the ingredients to your Grocery List. Caprese Instant Pot chicken thighs are perfect for summer! 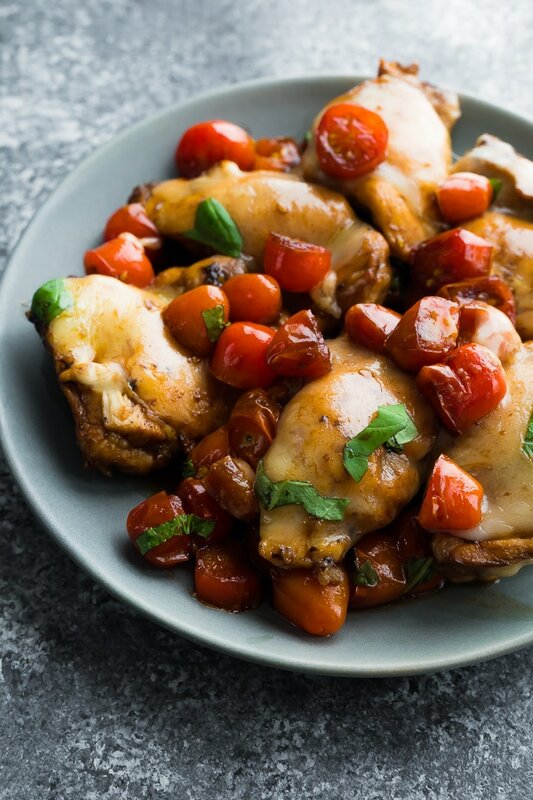 Chicken thighs are cooked to juicy perfection in a sweet, tangy balsamic sauce, then topped with mozzarella, cherry tomatoes and basil.